Considering taking a trip to Kerala this year? If so, don’t skip out on visiting Cochin! This culturally rich port city – also known as Kochi – is perched on the south-west coast of India. For centuries this was the principal trading port of Indian spices for the Portuguese, Dutch, and British. Today, it’s a vibrant city that blends old-world charm with lush landscapes, modern conveniences, and dazzling ocean views. Just take a walk through the city, and you’ll find an intriguing blend of European style houses, the crumbling remains of the British Raj, and even an English village on the coast. Explore more about the “Queen of the Arabian Sea” and how Cochin has come to be one of the most popular travel destinations in India. Cochin is one of the biggest port cities in the state of Kerala, and it once played a significant role in trading spices to western countries, dating back to the 14th Century. These colonial roots can be seen today throughout the city with a charismatic mixture of both European influences and local flavours. With this unique blend, you can find just about anything in this dynamic city, from spice markets to beaches, art exhibitions to eco-tours, and much more. Cochin is a photographer’s dream. Even if you’re just on the hunt for your next perfect shot, you won’t want to miss seeing the infamous Chinese fishing nets that were originally brought over from the Chinese Emperor Kublai Khan and are still used today. These aren’t just any standard fishing nets. These are unique installations that are operated from land. They get lowered into the sea each day and always draw a crowd. Just head over to Fort Kochi to watch the fisherman cast their nets during the morning. It’s always an amazing sight to see facets of history still being used in action today! Of course, as a colonized city with such an array of cultural influences, you can find an impressive selection of mouth-watering food that will tingle your tastebuds. 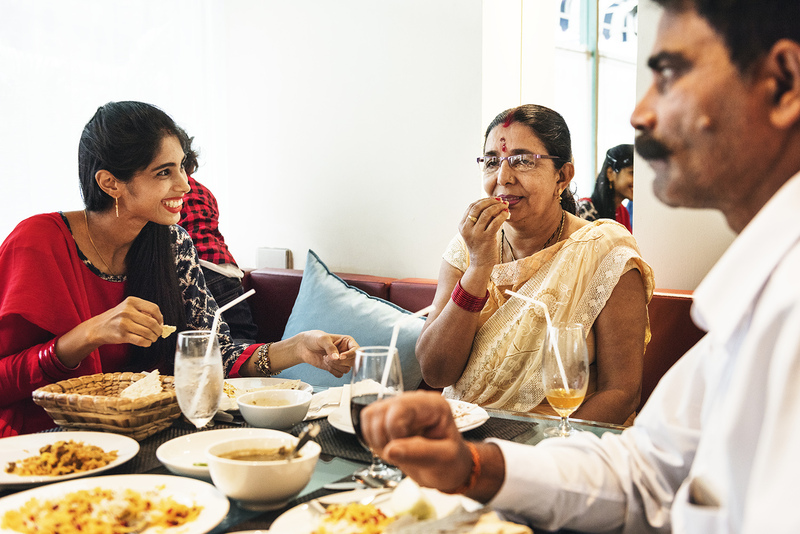 With a large variety of multicultural cuisines available, you can explore different unique flavours from India and across the globe. If you want to learn more about the fascinating history of Cochin, there are a number of excellent museums to check out. The Indo-Portuguese Museum and the Kerala Folklore Museum both offer comprehensive collections and artifacts that are worth a visit for any history buffs. Did you know that the oldest European-constructed church in India is located in Cochin? Built in 1503, it was the first of its kind in the country and contains significant cultural roots as it changed over many hands throughout the years. First constructed by the Portuguese, it was then taken over by the Dutch in 1663, and once the British invaded in 1795, it was changed to an Anglican church and named it St. Francis. What better way to enjoy your adventures abroad than with some R&R time at the spa? Ayurveda is the oldest form of healing science in the world, and Cochin is famous for its spas. There are a number of five-star spas situated in the city that will melt your stress away and leave you feeling pampered. The Fragrant Natura Kochi, Mirror Magic Spa, Prakruthi Ayurveda Spa, and the Taj Malabar Spa are a few popular ones to try out with different treatments offered by each facility. When you’re ready to visit Conchi, allow us to help you plan your trip at Nanak Flights! Delhi is a megacity with an abundance of culture, food, temples, and nightlife. Whatever your heart desires, you can find here in the city – historical forts, botanical gardens, art galleries, sports venues, foodie spots, and places of worship, to name a few. It’s an extraordinary blend of modern and traditional that attracts millions of visitors each year. 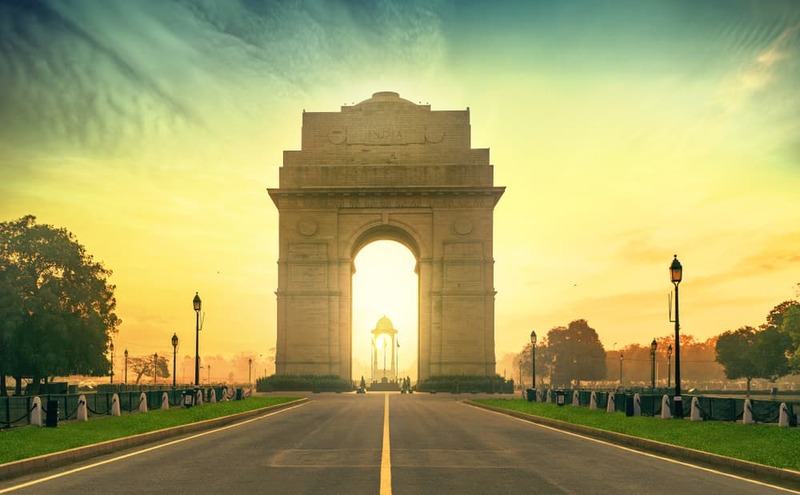 If you plan to visit this year and it’s your first time, be sure to check out our guide for visiting Delhi in 2019. For a sneak peek, here are some things not to miss during your visit. One landmark not to skip over is the Lotus Temple. This stunning landmark is designed in the shape of a sacred lotus flower with 27 white marble-clad flower petals on the outer core and nine doors that open onto a 40-meter tall central hall. Because of its beauty and significance, it has become a prominent tourist attraction in the city and is one of the most visited buildings in the world. To get your shopping fix, be sure to visit the oldest market in Dehli, Chandni Chowk. Here you’ll find everything from jewelry, to clothes, to sarees, to trinkets, to spices, and street food. It’s dense and chaotic, but it’s well worth it. You’ll find many hidden treasures as well as forts and landmarks all within the area. Once you’re done at Chandni Chowk, it’s time to head on over to Asia’s largest spice market, Khari Baoli. Within seconds of entering the market, you’ll be mesmerized by the vibrant colours and tantalizing smells. It’s a cultural adventure and also a historical one with shops dating back ten generations here in India. Speaking of historical things to do in Dehli, the Qutub Minar is one of the best. It’s the highest tower in the country and includes the first mosque to be built in India, the Quwwat-us-Islam Mosque. Although you cannot enter, you can enjoy the grounds and get an up close and personal view of the structures, detailed carvings, and inscriptions here. Another landmark that has major cultural significance is the Humayun’s tomb. Built in 1560 to honor the Mughal Emperor Humayun’s son, this structure became the first garden-tomb on the Indian subcontinent. With over 28 acres and 4 magnificent complexes to explore, you’ll want to book a good couple of hours to enjoy here as people come from all around the world to visit the grounds and see the grand dynastic mausoleums. The outside walls also offer many hidden treasures and monuments to explore, making it the perfect day trip. Although there are a number of top-rated restaurants to try, you can’t forget to sample all the delectable food carts that stretch along the streets of Delhi. Only in India can you enjoy spicy chickpea curry with cooked chapatis on nearly every corner. So be sure to jump outside of your comfort zone and try some of the street food delights – you won’t be sorry. Delhi has so much to see and enjoy, so be sure to give yourself plenty of time to explore it. And when you’re ready to book, try out our advanced search engine that scours up to 200 flight options from our vast network of travel partners to bring you the cheapest prices available. Which Languages Do You Really Need for a Trip to India? India has an astonishing 19,569 languages, according to the 2011 census! If you’re planning a trip to India, you don’t need to worry about carrying several thousand dictionaries in your luggage, as almost 97% of the people you’ll meet speak one of the 22 so-called scheduled languages. Even more reassuring is the fact that lots of people speak English pretty well. The 22 scheduled languages include Hindi, Bengali, Punjabi, Kashmiri, Tamil and Urdu. Hindi has around 420 million speakers, while Bengali has 82 million. All of the schools in India, however, teach standard Hindi, which is based on a colloquial version of the language spoken widely in and around Delhi. Several of the Indian states, while speaking standard Hindi and English, also have their own official state languages. Bengali, for example, is spoken in Bengal, while Telugu is spoken in Andhra Pradesh and Marathi in Maharashtra. While Hindi, which is an Indo-Iranian language is widespread in northern and central India, lots of different dialects exist, branching off from the central “spine” of standard Hindi. You could see Hindi as being shaped and changed in pretty much the same ways as Italian, French, Spanish and Portuguese have been adapted in Europe. These languages are all derived from Latin, and even today they have lots of words in common, but quite a bit of distance has developed and it’s hard to describe these languages as dialects – they have become distinct from one another. The southern regions of India have much more diversity in their languages and so if you’re planning to rely on Hindi, you might find fewer people to talk to. Even when it comes to the bigger industrial cities like Hyderabad, Madras and Bangalore, there are significant differences between languages and dialects. The upside to this, though, is that English is widely-spoken and popular. You will have to get used to some of the Indian-English – or Hinglish – idioms and peculiarities. For example, if an Indian friend is explaining something to you and asks you if you “…have any doubts?”, they’re asking if you have any questions, not whether you believe them or not. Your “good name” is your first name and if someone’s “taking a class”, they’re teaching, not learning. Realistically, you could spend the rest of your life learning all the particulars, so find a good phrase book, absorb a few and then just wing it! In southern India, the main languages are Tamil, Telugu, Kannada and Malayalam. These are Dravidian languagesso they have some similarities in structure. They also have a few borrowed words from Hindi, albeit with a few pronunciation and meaning tweaks. Most of the widely-spoken languages use the Devanagari alphabet, which was first developed to write down Sanskrit. This system of writing goes from left to right and you’ll see a horizontal line above each letter; each letter also represents a single consonant or vowel sound. You can learn to read Devanagari without learning the letters by using the International Alphabet of Sanskrit Transliteration (IAST). In this system, each Devanagari letter is represented by a Roman alphabet character which is most similar to the Devanagari version. Is it Hindi or Urdu? Some people in the northern areas of India will say they’re Urdu speakers and you might think it’s a totally different language. It’s not – they’re the same but they use a different alphabet. Hindi uses the Devanagari system while Urdu uses a Persio-Arabic script. The grammar and vocabulary are the same and if there’s no word for a particular object or concept, speakers will “borrow” a word from either Sanskrit or Persian to fill the gap. Urdu and Hindi speakers don’t have any difficulties communicating with one another; if an unfamiliar word crops up, the speakers will have enough language in common to explain it fully to the other. Hinglish is the mash-up of Hindi and English (as if you needed telling by now…). It’s primarily English with a dash of Hindi. Most of the English is British English, some of which dates back to the days of the Raj, and then some American English thanks to media, TV and films. The most pronounced difference that English-speakers find with Hinglish is the pronunciation. It doesn’t take much getting used to and you’ll soon get the swing. For example, you’d say “in-VIN-ci-ble” but your new Indian chums will say “in-vin-CI-ble”. They tend to place the stress on the penultimate syllable. Then there’s the “v” and “w” pronunciation, which is the same whether it’s a “v” or a “w” – a mixture of the two sounds that you, as an adult, will never be able to replicate properly. One thing that you’ll need to get the hang of pretty pronto is the use of “only”. It’s not just used to show or express limits or limitation, it’s also used to emphasise something. If you needed to find a mechanic, for example, a friend might recommend one to you with “He can fix your bike because he’s a bike mechanic only,”. This means that while he’s an all-round great mechanic, he’s especially good with bikes. When you’re eating out, your server might ask you if your meal was “…enough, or less?” and this means he or she is asking if you need more to eat or if you’re full and satiated. Very few people find Indian manners and courtesies discomfiting as they’re very well-mannered people. There’s one idiom that has raised eyebrows among the unready, though, and that’s the use of “you” plural. There’s no plural personal pronoun in Hindi, so Hindi speakers will say “you people” (“tum log”) when they’re referring to you and your friends or family. They’ll also use it when they’re talking about cultural differences, like “You people love macaroni cheese and ice hockey,”. To Western ears, this can sound slighting or prejudiced, but it’s just the same as “You guys,”, “You Canadians,” or simply “you” when you know it’s addressed to more than one person. There’s zero offence or prejudice involved. Lots of Indian idioms are self-explanatory. When someone is talking about their family members, they may talk about “grandmother-dad”, which means their paternal grandmother. Swedish has a similar construction – “mormor” for maternal grandmother, “farmor” is the paternal grandmother, for example. It makes much more sense than Granny Biscuits and Granny Montreal, in fact, because non-relatives know who’s who! Plurals are another group of words that are tweaked a bit. Indian people will often say something like “sheeps”, “cattles” or a “fleets” of ships. They’re pluralising words that are already plurals, but when it comes down to it, English can be downright awkward at times! You should endeavour to learn some Hindi, Bengali or whichever is the prevailing language in the state you’re heading to, but remember that English and Hinglish will get you quite a long way. While locals will love the fact that you’re making the effort, they’ll also be keen to try out their English skills on you. If you’re not too confident with other languages, India, despite its multitude of dialects and tongues, is actually a very welcoming and easy place for you to get about. Just one of the many contradictions of this amazing country. If you’re making a trip to India soon, then you’re in for an intense experience that is far removed from Western life. While most Indians are used to Westerners and their strange ways and will forgive you for the occasional faux pas, you can make life easier for yourself and everyone else by learning a few etiquette tips before you land. If you’re seen to be trying, you’ll gain respect and affection, as well as being a great ambassador. Indians are quite conservative dressers and this applies to men as much as it does to women. You won’t see many men wearing shorts and tank tops, especially in rural areas. In the bigger cities you’ll see women wearing trousers and leggings, but in smaller towns and in the country, you’re best off playing it safe and making sure your arms and legs are covered. Ideally, skirts should be ankle length unless you’re on the beach in Goa. The chances are that no-one will overtly challenge you or be rude, but they will form an impression of you that won’t help you or future visitors from the west – especially female ones. Remember, you’re a guest in India so you should show respect, especially in temples. You should avoid strapless garments and if you wear tank tops or spaghetti strap tops, then you should always have a shawl or wrap handy to cover up. Some places need you to wear a head scarf or hat, so do be aware of this. If you’re invited to someone’s home or if you go into a mosque, church or temple, you really need to take your shoes off. Try to watch out for shoes outside shops, too, as some shopkeepers prefer people to enter without footwear; if you see some shoes by the door, then you should take the hint. You’ll probably notice people wearing shoes in their homes when they go to the kitchen or bathroom, but these are reserved for indoor use and are never worn outside. Think of them as slippers and don’t think they’re an invitation to keep your dusty old boots on indoors. Especially not with your feet. Feet are deemed unclean and so to gesture to or touch someone with your feet or toes is insulting. You should similarly never touch or move objects with your feet, particularly valuable or important objects. If you do catch someone or something with your feet, then make sure you apologise immediately. Most people in India will understand “Sorry,” or “Excuse me,”, but it can be a nice touch to apologise in an Indian way by touching your head and looking regretful. Pointing with a finger is also rude, so if you need to point, use your entire hand or a thumb instead. In India, as in some Muslim countries, the left hand is used for bathroom hygiene so (even if you scrub up like a surgeon) using it to handle food or to pass something to someone is considered unhygienic and disrespectful. These questions might seem intrusive, but think about how people back home make attempts to “place” you in a much sneakier way and then actually act upon their judgements. In India, it’s 90% curiosity and they don’t mind if you ask the same questions right back, with no judgement on either side. In fact, they’ll be more than happy to give you the answers and to offer advice on your weight/fertility/budget. You can always be vague with your answers or even lie if you want to. In Western society, we have rituals based on manners. You’ve probably been taught to refuse the first offer of coffee but to accept the second or third because then you’re doing your host a favour. India’s quite different. If you refuse first time round, you can really hurt someone’s feelings, so always accept what’s offered. If it’s something you really don’t like, then say you’ll have a little but your doctor has warned you off it. The more formal traditions of thanking someone for their hospitality can create a distance, too, so be careful. If you’ve spent the evening at someone’s house, then don’t say “Thank you so much for everything you’ve done,”, as this is more like a diner-waiter scenario which plays into the hierarchy thing. Instead, tell them how much fun you’ve had and how much you loved talking to them and sharing food. Anything else might seem like they’re providing a service rather than being your friend, which can be hurtful. The flip side of the coin is that politeness can be interpreted as weakness, especially where beggars and street hawkers are involved. If you’re vague – “I don’t think so,” or “Not today,”, then this translates as “Convince me,” or “Ask me tomorrow,” It’s not a nice feeling, as a Westerner, to be stern and abrupt with vendors, but it’s necessary if you want to be left alone. In direct contradiction to the advice above, you should never outrightly reject an offer or invitation from a friend or associate. If you say a definite no, then this makes the person feel (and look) bad. It’s always best to be vague and say something like “I’ll do my best,” or “I’ll see if I can make it,”. In the West, we’re used to people being upfront and not wanting to leave people in doubt about our intentions, but in India it’s OK to give a sliding answer, especially if there’s other people about. There’s objective (in as much as it can be, if we listen to Einstein) time and Indian time. You’ll hear about Indian Stretchable Time and you’ll also experience it. Many well-travelled people think that Europeans and the immediate descendants of European settlers have a very linear idea of time and that this idea isn’t shared around the globe. If you’re going to be five or ten minutes late in Europe or North America, then you need to call as soon as you can. In India, time seems to morph and elongate so if someone says they’ll be there in 30 minutes, make yourself comfortable. It’s not rude, it’s just different. India is a very crowded place so try to get used to it. Europeans are used to much more personal space than many other civilisations so you’ll have to accept that you’re not in Kansas anymore and ignore the almost constant contact with strangers. You’ll see people eating, going to the bathroom, changing diapers and arguing in public when you’re in India. You’ll hardly ever see men and women hugging and kissing in public, however. India is quite a conservative place and displays of affection between men and women are frowned upon because they can have sexual overtones. An older man showing affection to a woman who’s obviously a daughter or granddaughter is fine, but if it’s a man and woman who could be in a relationship, it’s not. Even if you’re married, PDAs are not advised as you may be censured by locals and even told off by police. You’ll probably escape arrest, but you won’t be popular. Keep physical affection for your hotel room. Men and women don’t tend to touch when greeting unless they’re related. A handshake is a very formal and business-like greeting in the west, but can be misinterpreted in India if, as a woman, you proffer your hand to a man. It’s best to err on the side of caution and do a Namaste greeting with your palms together. Businesspeople in the bigger cities are more used to handshakes, so watch what others do; if you’re unsure, however, then don’t risk it. Above all, greet everyone with a smile, learn to laugh at yourself and be prepared to look stupid at least five times a day. You’ll be fine. Mumbai is a city made famous by its Bollywood industry, pop music, and traditional festivals. Considered the “city that never sleeps” in India, it’s where you can shop all day and party all night. So if you’ve been planning some time away this year, be sure to check out our guide for visiting Mumbai in 2019. It may be just what you’ve been looking for! Here are some of the popular attractions that you can expect to find in and around the city. Don’t miss the UNESCO heritage site located on a small island only a short ferry ride from Mumbai. Here you can explore a group of five Hindu and two Buddhist caves that depict a number of ancient archaeological remains that pay homage to India’s rich past. All archeological components are preserved in their natural setting, some of which served as a place of worship in ancient times. From the moment you enter by boat, you’ll be surrounded by the stunning beauty of the lush green hills and the stunning sculptures inside the caves. One of the most prominent tourist attractions in all of Mumbai is the sacred water tank of Banganga. This ancient tank dates back to the 12th century and is regarded as the subsidiary of the Holy Granges. In fact, it’s one of the holiest sites in Mumbai. Some people believe it has healing powers, so it’s not uncommon to find people taking a dip inside the water. Mumbai is known for it’s vibrant Bollywood films and stunning sets. So if you head to Mumbai, make some time to see where all the magic happens. At Goregaon Film City, you can take a tour around the grounds to check out the studios. If you’re lucky, you might catch a live shooting and see some of the big stars. When you’re ready for a little more adventure, be sure to visit Essel World, the largest amusement park in India. Filled with heart-racing rides for the entire family, it’s an activity everyone will enjoy. When it’s time for a little shopping, head on over to the most famous wholesale market in all of Mumbai — the Crawford market. You’ll find everything your heart desires, from handcrafted jewelry to fresh produce, and of course, delicious Indian food. Then once your senses have had enough, swing on over to Fashion Street, a vibrant flee market where you can find all the trendy apparel items to bring home. 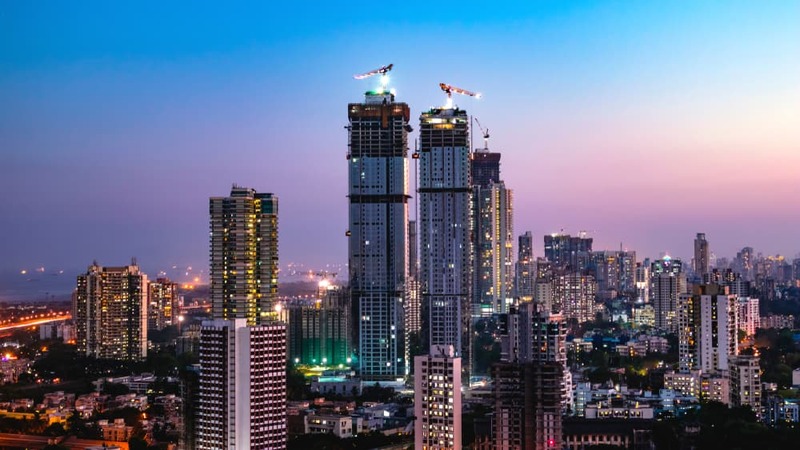 Mumbai really has it all— architectural wonders, thriving markets, exciting amusement parks, natural wonders, and A-list celebrities all in the same city. Once you’re ready to book, try our Nanak Flights search engine that browses through over 200 available sites to find you the best flight for the most affordable price. The Tourist Tax – Yes or No? We’ve all heard of the British holidaymakers who were charged £54 for gelati in Rome back in 2013. While some of us may have laughed at the tourists’ outrage, as they apparently ordered clearly-priced extra-large ice creams, there is a definite two-tier tariff in many cities and countries. Locals get mates’ rates while tourists pay extra – the so-called Tourist Tax. In some parts of the world it’s relatively subtle; some cafés in Belgium charge tourists an extra 10% for their chips, for example. Other parts of the world, however, can charge tourists double or more for entrance to landmarks and attractions. Is it exploitative or entrepreneurial? When regular travellers get together to swap tales, they often mention how much extra they have to pay for meals, for accommodation or for entrance fees to attractions. Some find it annoying, deceitful (or baldly cheeky), while others don’t mind paying a surcharge because they want to help the local economy. Often, it comes down to how much the extra charge is and what the exchange rate with the visitor’s home currency is. If the tax amounts to mere pennies, then most tourists won’t even think about it. If it’s amounting to tens of dollars, on the other hand, then it can backfire and put people off. Get the balance right, though, and that extra little bit on top can make all the difference to the areas – and the people who live in them – in less-affluent countries. Tourism is a major industry in many parts of the world, especially India, and if people are flocking into a country from wealthier nations, they bring their money with them. Globally, tourism is worth a total of almost US$8 trillion. The United Nations World Tourism Organisation predicts that 1.8 billion international tourist arrivals will happen annually by 2030; already we see that one in ten jobs around the world relies on tourism either directly or indirectly. That means that almost 300 million people around the world need holidaymakers to make a living and to contribute their collective 10% to the world’s GDP. It only seems fair, in that case, to redistribute some of that wealth. When Thailand’s government announced that it planned to raise the entrance fees for its national parks it made it clear that these price hikes would only apply to “foreign adults and children”. The two-tier charges came into force in February 2015. While this big price differential might seem unfair to people who have just travelled at least partway around the globe to relax, you have to think ahead and beyond. If the locals in a tourist area had to pay the same price as tourists then they almost certainly wouldn’t be able to afford to see their own heritage sites! In addition, the prices of other amenities in the area would start to rise and locals would simply be priced out of their homes and neighbourhoods. You may well read guidebooks that remind you not to pay the first price you’re given, but you should stop and think before rejecting it out of hand. If the first price isn’t huge then just pay it. You could be helping someone to buy a house, put their children through school or to pay medical expenses. Your extra dollar or two won’t mean much to you but it’ll mean a lot to the shopkeeper or restaurant owner. We all hear about how the world’s money and resources are distributed unevenly and unfairly, so by paying slightly over the odds in a poor area, you’ll be doing your bit to straighten things up. The tourist tax is not just about the immediate impact of helping a café owner to improve their family’s life; a two-tier payment system, whether state-mandated or informal, is a good way to protect a country’s resources. If bus-loads of tourists are arriving several times a day, day after day, into a city, to a landmark or to a natural park, this flow of humanity will have an impact. There’ll be less room for the area’s older industries or for farming, and the natural resources may also become depleted or (in the case of wildlife) move elsewhere, then the extra money will go a long way to compensating for this. It’ll also help local governments to preserve the environment so that tourists want to carry on visiting. Looking at the issue from this angle, it seems wrong not to pay that little bit extra. Tourism isn’t a one-way street; it’s not about the locals taking money from the incomers. Holidaymakers need to realise and remember that they too are often taking resources away from the area or putting extra pressure on the environment and infrastructure. A seasonal spike in tourist numbers might be welcome economically, but it may also dominate the everyday life of the locals for a few months of each year. By paying more than locals for the same amenities, or by giving generous tips, tourists are taking a moral stance and offering at least some redress for the impact they’ve made. Can you end up being ripped off? Of course, most tourist taxes are fair and go to good use; they also don’t sting too much, given the difference in income per capita between, say, India and Canada. The case of the gold-plated ice creams in Rome did highlight how some venues, shops and eateries do exploit their overseas customers, though. The British family could have looked over the menu first, realistically and this particular incident is so well-known because it was so extreme. What’s harder to avoid in many parts of the world are outright scams and sob-stories to guilt tourists into giving donations to people who might not put the money to good use. While you should expect some tourist surcharges when you visit India – in fact, you should proactively hand some money over – you also need to keep your wits about you. Do your homework and visit a few forums before you arrive so that you get a handle on the going rates for goods, meals, hotels and transport. This will help you to spot when you’re being ripped off, as well as to know all about the local “characters” before you actually get to meet them. Is it a surcharge or the actual market rate? Another argument for the tourist tax is that visitors aren’t paying extra, they’re paying the going rate. Locals pay less at the gates because they’re already paying taxes, working in the area, bringing up the next generation and doing their recycling. They deserve their generous discount, especially as they’ll still be there in the low season, looking after the place. Many tourists and holidaymakers don’t notice the surcharge, especially if they’re visiting India with an organised tour or they have a generous daily budget. Sri Lanka’s Temple of the Tooth is free for locals to enter, but costs 1,500 Rupees (around US$20) for tourists and foreigners. For many tourists, this will simply form part of their daily expenses and some won’t even know that the local populace doesn’t pay anything. Most of the tourists who are aware won’t begrudge this, either. To see the Taj Mahal you’ll probably pay US$15, but what an experience! You’ll be paying almost twice the amount that tourists from India’s neighbours will and 20 times the 40 Rupees that Indians will pay. Still – it’s the Taj Mahal! If you are planning to travel to India, you must avoid all non essential travel to the following border states due to the tension prevailing between India and Pakistan. India and Pakistan shares 3323 Km of land between its borders including Line of Control in Jammu and Kashmir. After the Pulwana terrorist attack, situation is very tense in the J&K state of India. You must postpone all your travel plans to the Kashmir valley. Wagha border is very famous for the daily parade ceremony popularly known as "Beating the Retreat" ceremony by the army staff of both countries. Thousands of people visit Wagha border every day to see this ceremony. You should postpone all travel within 10 kilometers of border area between India and Pakistan including Wagha border. The Zero point border area separates Rajasthan and Gujarat states of India from Pakistan. You must postpone all non essential travel only to the border areas of these states. All major cities of Gujarat including Ahmedabad, Surat, Vadodara, Anand, Bhavnagar, and Gandhinagar are excluded from this travel advisory. All major tourist attractions of Rajasthan including Jaipur, Jodhpur, Jaisalmer, and Bikaner are ok to travel. We are proud to announce that we have opened our new location in the heart of Mississauga city. The office is located in a very busy Indian Plaza (Janpath Plaza). The plaza already has a lot of established Indian Businesses, which have been in operation for many years. We received the license for our new office last week and it is fully operational from Jan 21, 2019. 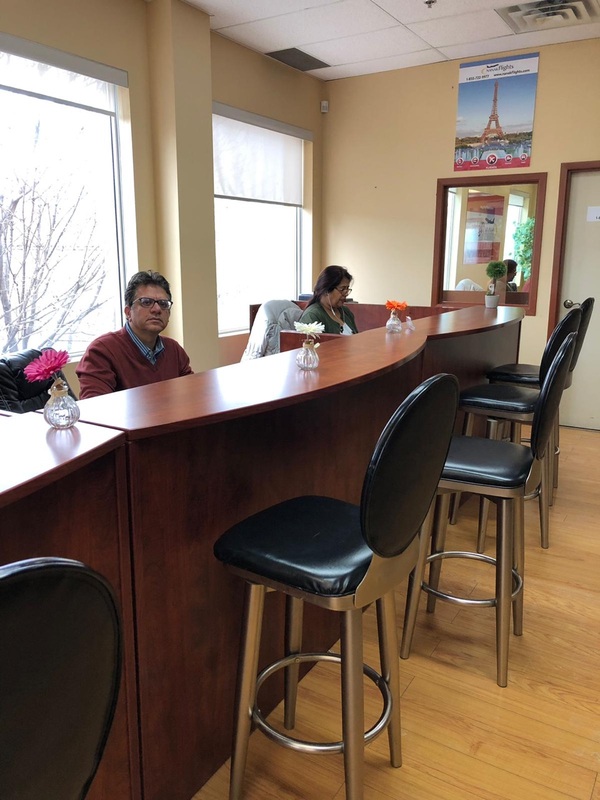 With the opening of the new location in Mississauga, Nanak Flights aims to target all the South Asians in the GTA area. We have become the most popular Indian Travel agency for South Asians looking for cheap flights to India and amazing customer service. Our Mississauga customers have been requesting the new location for a long time. They can now also pick e-tickets and gift cards from our new Mississauga location, which is very close to Highway 401/Mavis. • Take the Mavis Road Exit on Hwy 401/407. • Drive on Mavis Road South towards Mississauga. • Take Right on Britannia Road. • Make a U-turn at Latimer Drive. • Turn right into Janpath Plaza. • Take stairs to reach Unit # 201. Grand opening Bonus: We are offering double the gas card rewards until March 31st, 2019. Get your FREE $20 GAS CARD with the purchase of every return ticket from NanakFlights until March 31, 2019. This offer is only valid for walk-in customers who visit our Mississauga office. Our customers can also check for flights to India on our website. Hyderabad is an ancient metropolis rich in culture, history, and bursting with all sorts of colourful markets and, of course, delicious cuisine. In fact, it’s known as the city that doesn’t sleep and is the second biggest in the country, making it a great first stop to check out all the sites and sounds of India. Learn more below about what you can expect when visiting Hyderabad. Move over Hollywood! The city of Hyderabad hosts the world’s largest film studio complex called the Ramoji Film City. With a wide range of activities, rides, gardens, palaces, and cinematic themes, this area attracts millions of visitors every year. You can catch a movie or partake in one of the many activities and adventures out on tour. We recommend you visit the old market streets that have existed for centuries in this city and are infamous for their shops and enticing bazaars. There are a number of bazaars throughout the city to get all your souvenirs and to experience the true authentic hub of Indian markets. One not to miss is the Laad Bazar, which still has its old world charm and features traditional colourful hand-made bangles for sale. No matter what you’re craving, there’s something here to tantalize your senses. Maharashtrian, Chinese, Mughali, Italian, and even French — you can find all sorts of fantastic dining options here in the big city. Whether you’re craving biryanis and other Indian delicacies or are looking to try some South Indian cuisine and seafood dishes, you’ll find everything here. 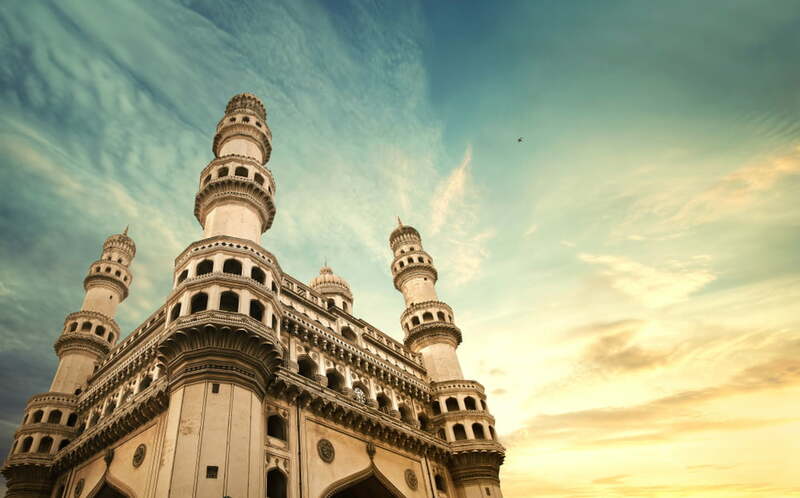 Hyderabad features many jaw-dropping historic monuments that you can tour up close and in person. Here you can find the oldest mosques in India that can hold up to 10,000 worshippers who come far and wide to visit this beautiful and historic structure. Although non-Muslims are not permitted inside the Mecca Masjid mosque, there’s so much to see and admire from the outside. The Charminar is another stunning site not to be skipped. It’s one of the most recognized monuments in India as it was constructed to commemorate the founding of Hyderabad. Whether you’re thinking about taking a trip to India for a week, month, or year, be sure to put Hyderabad on your list of places to visit. There’s so much to see and do here, plus, it’s easy to get to from Canada. Check out our flight options today! Are you looking to take a once in a lifetime trip that doesn’t involve the typical tourist hubs? If so, Amritsar in India is the place to check out! It offers everything for an exciting vacation — culture, music, museums, bazaars, nightlife, shopping, and mouth-watering cuisine. If you’ve never heard of this exotic destination before, now’s the time to learn why we love Amritsar and why it should be on your must-see list this year. 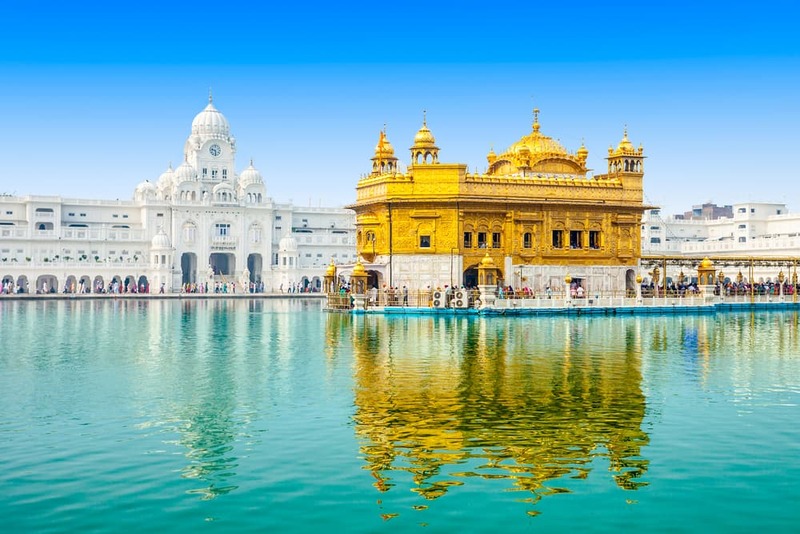 Amritsar is home to a number of stunning and infamous temples, most notably the Golden Temple, which is a well-known spiritual and cultural center for Sikhs. With over 100,000 visitors a week, it attracts even more visitors than the Taj Mahal. Just be sure to visit at night when you can see the reflections of the temple in the central tank and enjoy a complimentary vegetarian meal. Also, be sure to make a pit stop at the Durgiana Temple, one of the most important Hindu temples in the area. Just like the Golden Temple, the Durgiana is built right in the centre of a lake and features a dazzling display of lights. Amritsar is one place on the map that should be on every adventurer's list. There is also a number of exciting cultural and religious ceremonies in Amritsar that are worth experiencing. One popular event is the Beating Retreat Ceremony at the Wagah Border — the only border crossing between India and Pakistan. During every sunset, a parade and flag ceremony takes place here, showcasing the soldiers of both Indian and Pakistan. It’s a rare sight for the eyes! If you love shopping, the Hall Bazar should be at the top of your list. Here, you’ll find a number of streets lined with rows of shops to explore. You can find everything, from electronics to handicrafts, to jewellery, to even the world-famous Phulkari embroidery works. You can also eat at some of the best restaurants and street stalls right here in the market. It’s truly the best place for tourists to purchase one-of-a-kind souvenirs and get an authentic meal during their travels. Speaking of food, foodies will enrich their senses with the unique culinary dishes and experiences in Amritsar. Looking for the perfect selfie? Join in on the Guru ka Langar, a community feast that feeds 40,000 people all in one location. On the hunt for famous local dishes? The Kesar Da Dhaba is well known for housing all of the tastes of Punjab. Looking to knock an authentic delicacy off your bucket list? The Beera Chicken Corner is all the rave when it comes to their delicacies like tandoori and butter chicken. When you’re ready to learn more about Amritsar, check out our city guide here, or if you can’t wait to book a trip now, go ahead and do so. We are a licensed Canadian travel agency that provides the lowest airline prices from local Canadian destinations to many exciting places around the world. We’ll help you plan and get to Amritsar for the lowest price possible!